Ah Sancerre. Just the name evokes plush, restrained harmony in the bottle where dominant herb notes mingle effortlessly with some spice and some fruit. These are elegant wines without being forceful. This is your best friend who you can just be yourself with and almost always rely on for a good laugh and a smile. With a salmon dish or an appetizer of chevre on crostini, why look anywhere else than Sancerre as the perfect companion? You know a restaurant’s importance in the common vernacular of a city when the initials which make up the restaurant’s name are the medium for learning the abbreviation of one of history’s most important and powerful empires. I remember visiting a friend from San Francisco studying in Rome a few years ago. With no knowledge of what “SPQR” stood for in Caesar’s day, he noticed the “SPQR” written at the base of the Julius Caesar statue overlooking the Forum’s ruins, and mentioned how those are the same letters as that restaurant in San Francisco owned by A16 (we had dined at A16 right before he departed for Rome). 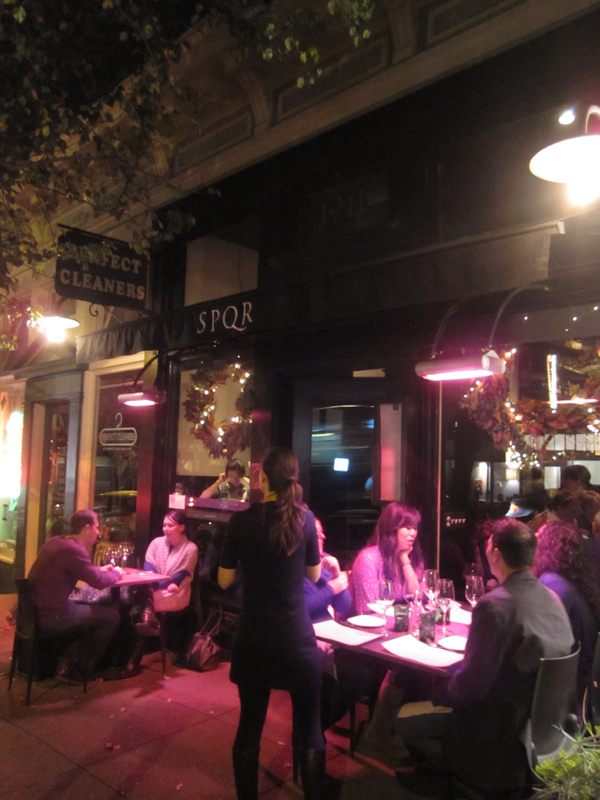 Prior to my most recent visit to SPQR, the Pacific Heights, San Francisco, modern Italian restaurant, a fellow diner thought that the “Q” was a “U”, and the restaurant is named “Spur.” No, Spur is a gastropub in Seattle. Before shades of Russell Crowe in Gladiator gear and Kirk Douglas as Spartacus frame your opinion of this restaurant, understand that really the SPQR here could mean Sterling Pastas Quietly Re-Discovered. This week’s neighborhood of the week exemplifies the meaning of a neighborhood– where strangers come together to help one another in tines of trouble. Brooklyn is full of many impressive restaurant and bar-rich neighborhoods, many of which have been greatly affected by Hurricane Sandy, along with so many other neighborhoods of New York City and the East Coast. From the café and bar Fort Defiance to the production kitchen for the acclaimed Montréal style deli and bakery Mile High Kitchen, nearly every restaurant, bar, store, and café has been affected by storm damage. In many cases, the businesses have been shut down altogether. The area still, two weeks later, is without power. Right along the East River by the Brooklyn-Battery Tunnel, just west of Park Slope and Carroll Gardens, and south of the tip of Lower Manhattan, Red Hook was in a particularly vulnerable spot for the surging surf from the storm. In the daunting world that is the restaurant industry, the few restaurants that succeed beyond their first half decade have clicked with some specific formula. The formula might be as a tourist trap where the attraction is an enormous aquarium wall, or it might be about the exciting nature of a completely changing menu daily à la Charlie Trotter. Teamwork and leadership are critical. Everybody needs to be all in. The vision needs to be clear. The now seven-year-old Range is truly the consummate restaurant. If I were to be teaching a course about a restaurant with a clear vision and equally clear purpose, this would be it. 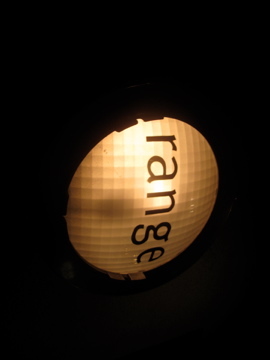 Range is a professional restaurant. Every surface is sanded, no corner cut. 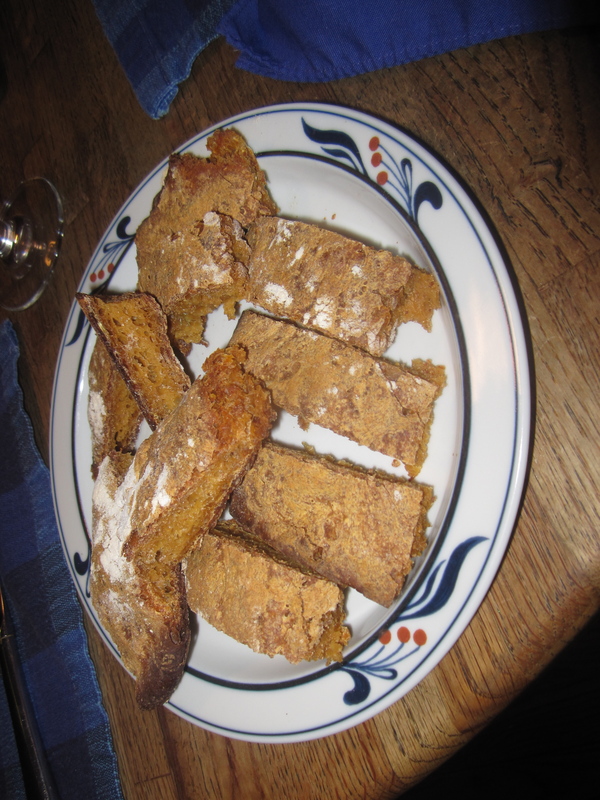 O.K., the cold butter and unexciting bread aren’t worth filling up on. But, that’s it. Back in the summer of 2005, husband and wife team Phil and Cameron West opened Range on Valencia Street in a rather challenging part of San Francisco’s Mission District, when the likes of Delfina and Foreign Cinema had put the neighborhood on the dining map, but long, long before the 2012 Ritual Coffee-Four Barrel Coffee-fueled Valencia Street corridor became San Francisco’s “it” street. It’s extremely hard to spot Range from the street with its tinted windows and the only label being a small street lamp above the door that says in small print “Range.” I remember my first visit after it opened, doing a curious double-take, squinting my eyes, seriously thinking I must have completely had the wrong address. Now Valencia Street seems to have at least a dozen restaurants per block. The once dicey block Range resides on now has only a slight bit of edge and a very welcome new playground and park right next to the restaurant. As the results come in on this Election Tuesday evening, let’s imagine a dinner put together by both candidates most beloved foods. 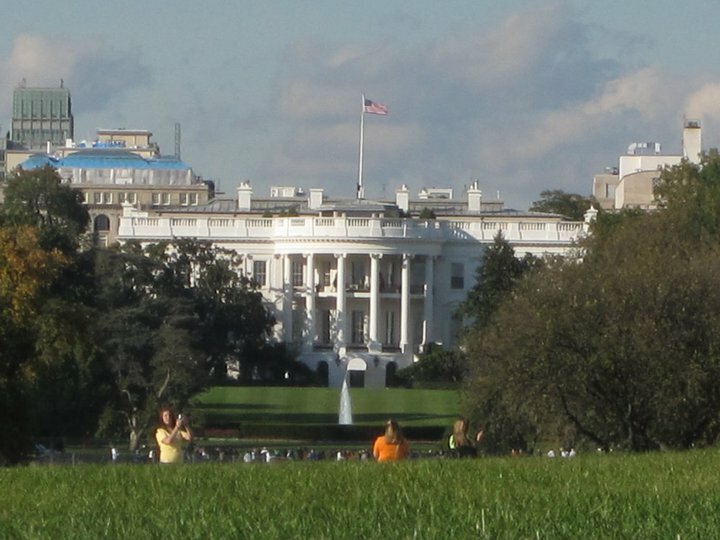 Start by with the finger foods, snacking on hummus and pita chips like Governor Romney would, and President Obama supports trail mix and chips with guacamole. We start with Governor Romney and his favorite meatloaf cakes, with the recipe from his wife Ann. Governor Romney is also a leading advocate for peanut butter and honey sandwiches…does that count as savory or dessert? We’ll call it savory.